More hexagon fragments.....just a little Henna Drum for some drama. And remember those first fragments from last post? Here's what I turned them into, along with the Henna Drum. You'll also notice the center blue fragment is new too. That hexagon appears to be a cube! More to come! 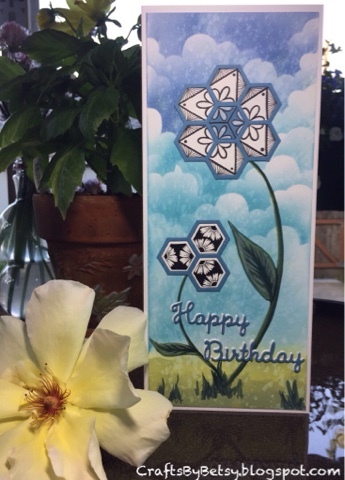 In addition to the Papertrey Ink hexagon die I've been mentioning, I also used a Happy Birthday die that was a gift I received from Crafter's Companion. This card fits a standard business envelope. 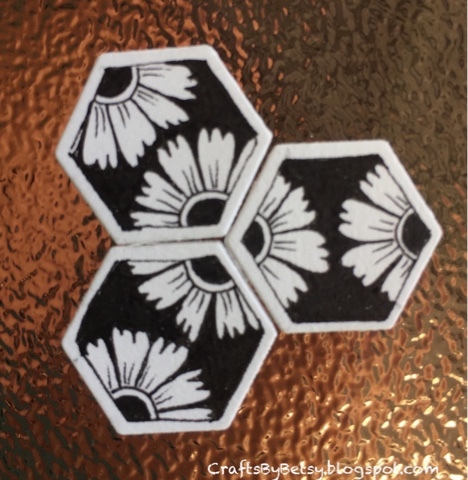 To see all my hexagon posts, I've created the hexagons label. I've also created a Reticula and Fragments label.